During 2015, I reluctantly made the decision to discontinue my Scandinavian New Issue Service. 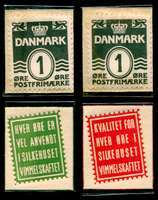 This does not affect my other operations (other than Scandinavian stamps issued after 2015) in any way. I am not retiring or otherwise cutting back; this was purely a business decision relating to the new issue service. After more than 30 years of operating the service, it had just become too much work (the post offices became increasingly difficult to deal with), too resource and staff intensive for the revenue it produced, and too capital intensive, requiring tens of thousands of dollars of additional investment each and every year. Additionally, the post offices' changing policies put them in greater and greater direct competition with their own sellers while at the same time they provided less and less support to their sellers -- all while they complained that their sellers were not selling enough. (By the way, new issue service operators do not receive any discount from post offices; we had to pay just as much for the stamps as anybody else.) This was an extremely difficult decision, one that I struggled with for several years. I very much appreciate the past patronage of my new issue service clients; I did all that I could to put each client into contact with people and organizations who could assist them with their needs. As a result, I no longer provide new issues on a subscription basis. However, I am willing to attempt to provide limited service to clients who are also actively purchasing older stamps. As a result of this change, I am not attempting to fully stock stamps issued after 2015. 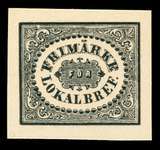 However, I do have some such stamps available and I will have more and more available as they come in as part of purchasing collections and dealer stocks. I will eventually expand the web site listings to include these later stamps issues. I welcome your want list for stamps of any time period.